Dobbies announced the appointment of garden industry veteran Nicholas Marshall to the role of chief executive officer this week, as it was revealed that John Cleland has left the business for family and personal reasons. Mr Marshall, whose most recent role was as chief executive of Wyevale Garden Centres, has over 30 years' experience in the garden centre sector. 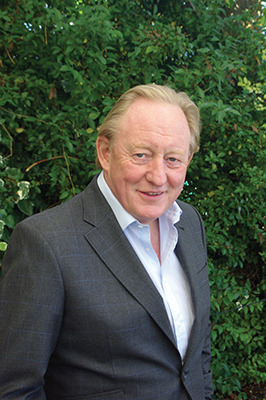 He founded and built two garden centre chains, Country Gardens PLC, which was bought by Wyevale in a hostile takeover for over £120m and Country Homes and Gardens PLC. Dobbies chairman Andrew Bracey said of Mr Marshall’s appointment: “I have known Nicholas for many years. He is one of the most successful leaders the industry has ever seen and we are thrilled that he has joined Dobbies as CEO. Since the acquisition from Tesco in July, we have been highly impressed by the dedication, loyalty and hard work of Dobbies’ team. With Nicholas at the helm, we feel that Dobbies’ stores will only improve further and we look forward to the forthcoming spring season.”. The Board of Dobbies added that it would like to thank John Cleland for his leadership and commitment to Dobbies at an important time, and wishes him every success in his future endeavours. Following speculation and rumours surrounding Tesco’s ownership of Dobbies flying around for some time - with a host of potential suitors named, including Mr Marshall - the 35-strong chain was finally snapped up from Tesco by Midlothian Capital Partners and Hattington Capital in a £217m deal last June.